hello 305 users may i ask if ita has an equalizer settings and manual eq,stereo widenning and bass booster of its musicplayer? 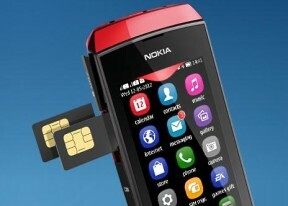 Again a worst mobile from nokia. internal memory having only 2.5 mb free touch response is poor worth investing 5000 rs. AnonD-30608, 09 Jul 2012Why nokia is manufacturing such good phone with resistive touchscreen..... where even china mo... morefirst use and then decide. it's touch is as responsive as any touchscreen phone has. replying from asha 305 with no problem in typing. if you are easy with other brands, you should purchase their product. atleast stop crying even you have not used the phone. AnonD-44202, 09 Jul 2012To All, why are you saying nokia is fooling you guys? It's already stated there the specs a... moreAppreciate your comments very much. AnonD-30608, 09 Jul 2012Why nokia is manufacturing such good phone with resistive touchscreen..... where even china mo... moreits bcoz if nokia provide capacitive touch then there must be less complaints, and if there are less complaints then how nokia will got the hard earned money of users.